You’re bothered (unhappy, self-conscious, embarrassed) by fat under the chin, also known as submental fullness; You feel the condition makes you look older or heavier than you actually are; You don’t want to have surgery; You eat well and exercise, but submental fullness does not go away. 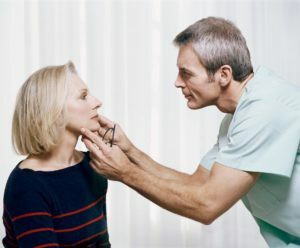 Kybella can cause serious side effects, including nerve injury in the jaw that can temporarily cause an uneven smile or facial muscle weakness (experienced by 4 out of 100 people in clinical studies) and trouble swallowing (experienced by 2 out of 100 people in clinical studies). In clinical studies, nerve injury in the jaw resolved on its own in a median of 44 days (range of 1 to 298 days), and trouble swallowing resolved on its own in a median of 3 days (range of 1 to 81 days).